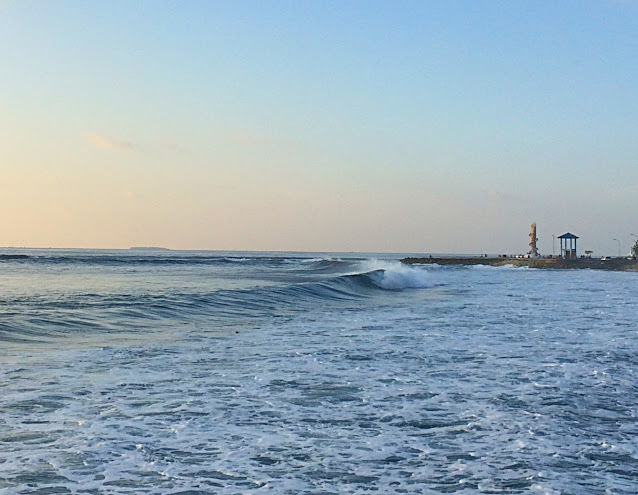 One of the most popular and thus crowded surf points in the whole of the Maldives is in the capital city Malé – ‘Raalhugandu’. Traditionally known as ‘Varunulaa Raalhugandu’ the breaks are located on the southeast corner of the island. This is the main break in town, which luckily, is one of the most consistent and powerful waves in Maldives. Really wedges at low, but the waves get messed up at high by the massive coastal protection of tetrapods that line the beach. Raalhugandu a reference of surf spot in Dhivehi, the local language.